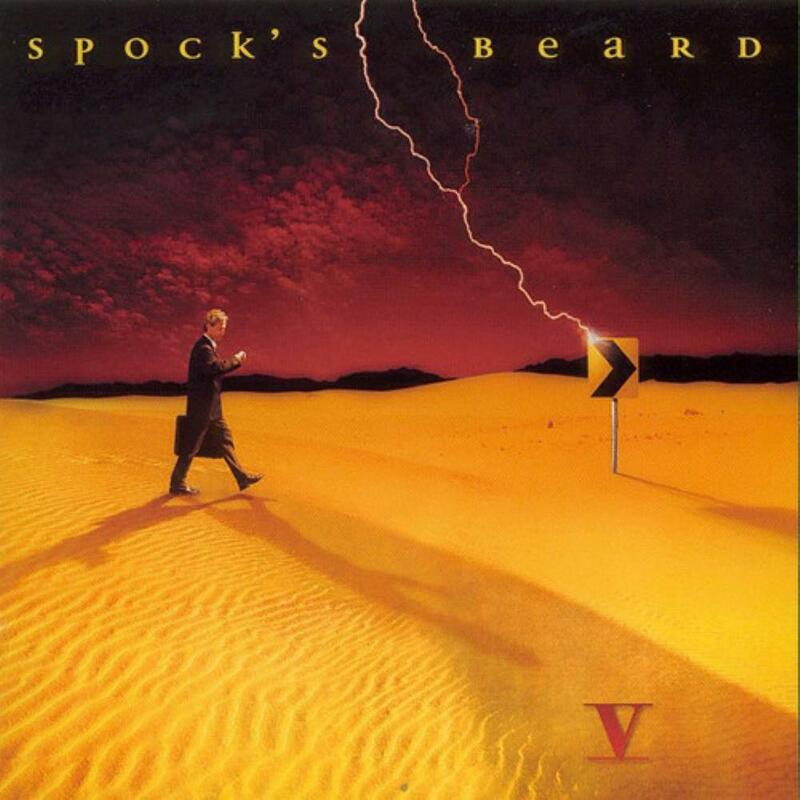 Spock's Beard entered the millennium with their fifth studio release, appropriately called "V." On this release, the band placed two remarkable long pieces at the beginning and end of the album, one timing in at over 16 minutes, the other at over 27 minutes. In between are four shorter tracks of varying moods. Sixteen-minute long songs are one thing, but 27-minute songs are often hard to pull off while maintaining the attention of the listener. Often songs of this length tend to have long jamming instrumentals that sometimes wander around in circles. Since this track was labeled "The Great Nothing," I had to wonder if this was going to have long moments of sparse minimalist noises. Fortunately, it was just a passing thought and when the music hit my ears, I was again admiring how amazing this band is. The two lengthy tracks on this album alone are worth the cost of buying. They may very well be the best extended pieces of the music Neal Morse has ever composed. The four shorter tracks are nothing to skip over either. Revelation is a beautiful song with a powerful chorus section, Thoughts Part II is another obligatory nod to their Gentle Giant influences, Goodbye to Yesterdays is a beautiful ballad (which the band had been getting much better at making), and All On a Sunday, the band's answer to "what if the radio ever played our music." Indeed, I do recall seeing a single of All On a Sunday in a record store some years ago. Five studio albums from 1995 to 2000, each one in their own right a well deserved masterpiece. That's a better run than most prog bands from the 1970s suggesting to me that Spock's Beard clearly deserves to take their place among the greats. For me, V is their second best album, behind The Kindness of Strangers. Easily five stars and a highly recommended must-have.